One of the first things to consider before buying a portable oxygen concentrator is the delivery method of the oxygen. 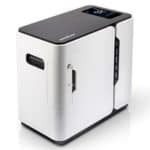 In this article, we will explain the difference between Continuous Flow and Pulse-Dose portable oxygen concentrators. Pulse-Dose (also known as On-Demand or Intermittent-Flow) portable oxygen concentrators deliver oxygen only when the user inhales, and stops during exhalation, thus enabling the units to be small and light. 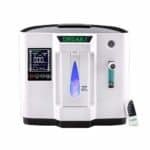 Pulse-Dose portable oxygen concentrators weigh between 2.8 to 9.9 pounds (1.3 to 4.5 kg) which is significantly lighter than the Continuous Flow portable oxygen concentrators that weigh 10 to 20 pounds (4.5 to 9.0 kg). 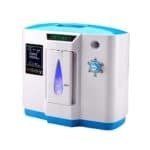 Continuous Flow Portable Oxygen Concentrators, on the other hand, are recommended for patients with sleep apnea, who usually require a CPAP (Continuous Positive Airway Pressure) mask. Pulse-Dose Portable Oxygen Concentrators delivery is measured by the size of the “bolus” of oxygen per breath. Continuous Flow Portable Oxygen Concentrators delivery is measured in liters per minute (LPM).